David Zuchowski (left), Hyundai Motor America executive vice president of sales will become President and CEO effective January 1, 2014 taking the place of John Krafcik (right) who will step down after five years at the helm upon the successful completion of his contract on December 31, 2013. 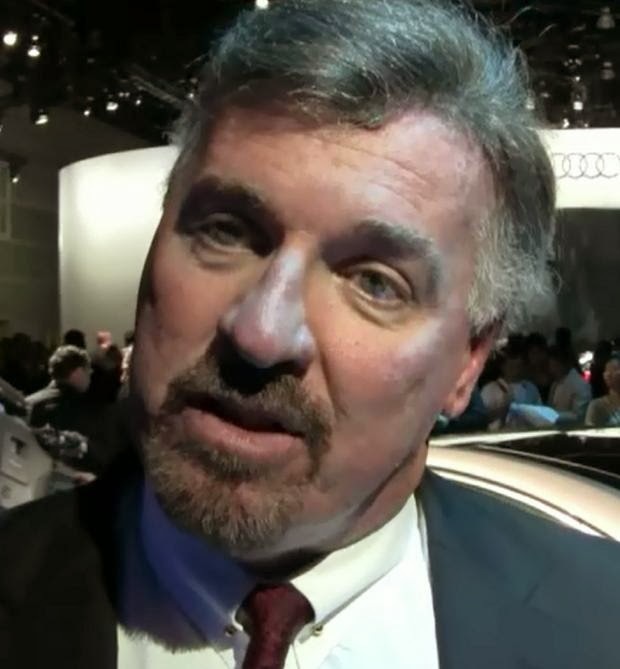 Zuchowski joined Hyundai Motor America in February 2007 as vice president of Sales with responsibility for all sales, sales operations, market representation, field operations and overall dealer relations. A 33-year veteran of the automotive industry, Zuchowski was previously with Mazda North America, where he served as vice president of Sales and Field Operations. Zuchowski began his career in 1980 at Ford, where he progressed through various executive-level positions including regional manager, product marketing manager, national merchandising manager and field operations manager for the Ford and Lincoln Mercury divisions. Joachim W. (Joe) Eberhardt (left) is the new President of Jaguar Land Rover North America coming from Chrysler Group where he had executive leadership sales, marketing and service roles that included DaimlerChrysler UK, Mercedes-Benz U.S.A. and Daimler-Benz AG. Jaguar Land Rover North America November U.S. sales for both brands hit 6,047, a 37 percent increase from November 2012. Year-to-date Jaguar Land Rover North America sales are 59,654, up 21 percent over 2012, with Jaguar up 41 percent and Land Rover up 15 percent. KNX Business Hour Host Frank Mottek checks in for an LA Auto Show summary of new vehicle introductions and awards on Day 2 (Nov. 21, 2013) of the Media Days from the LA Convention Center. The all-new 2015 Mercedes-Benz C-Class launches in the U.S. with the C300 4MATIC permanent all-wheel-drive system with a 235 horsepwoer 2.0L turbocharged direct-injection in-line four cylinder engine and a C400 4MATIC with a 329 horsepower 3.0L turbocharged direct-injection V6. The all-new C-Class has a 3 inch longer wheelbase (112 inches) and is 3.7 inches longer overall (184 inches) and 1.6 inches wider (71 inches) compared with the previous model. The new C-Class is loaded with technology. ATTENTION ASSIST comes as stndard, to warn the driver of inattentiveness and drowsiness with an adjustable level of sensitivity that can inform the driver in a separate view in the instrument cluster about their level of drowsiness and how long they have been driving since their last break. The COMAND system navigation function flags up nearby break options as stopovers, providing the system has been specified in the vehicle. Adaptive Brake Assist offers protection from collisions from speeds as low as 4 mph. COLLISION PREVENTION ASSIST PLUS features a function that is able to carry out autonomous braking at speeds of up to 124 mph, thereby reducing the severity of collisions with slower or stopping vehicles. The system also brakes in response to stationary vehicles at a speed of up to 31 mph, and is able to prevent rear-end collisions at speeds of up to 25 mph. DISTRONIC PLUS with Steering Assist is a semi-automatic traffic jam assistant which at speeds under 37 mph is able to follow the vehicle ahead even where lane markings are unclear or completely lacking, thus providing a safe and convenient means of following the flow of traffic. The BAS PLUS Brake Assist System can now also detect crossing traffic and boost the braking force if the driver fails to apply the brakes sufficiently; the PRE-SAFE® Brake can detect stationary vehicles as well as pedestrians, brake automatically if the driver fails to react, thus preventing accidents up to 31 mph and mitigating the severity of collisions at speeds of up to 45 mph. In flowing traffic the PRE-SAFE® Brake provides assistance according to the same mode of operation throughout the speed range from 4 to 124 mph. Enhanced Active Lane Keeping Assist can now also prevent the vehicle from unintentionally drifting out of lane when broken lane markings apply and a risk of a collision arises, e.g. as a result of vehicles overtaking at high speed, parallel traffic or even oncoming traffic, by applying the brakes on one side. 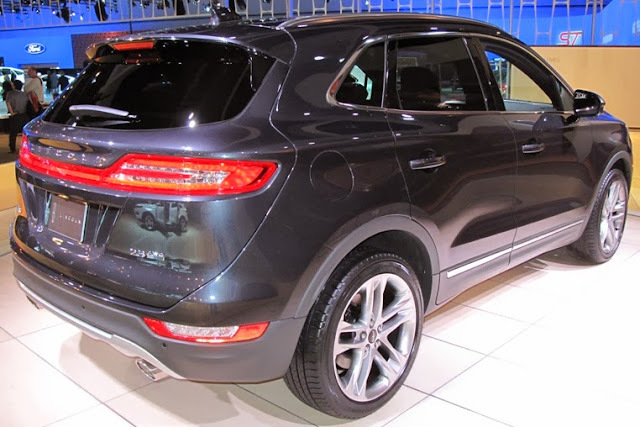 The 2015 Lincoln MKC, Lincoln’s first entry in the small premium utility segment introduced a week before the Los Angeles Auto Show, comes standard with a 240 horsepower 2.0-liter EcoBoost engine along with a push-button gear shift that controls the automatic transmission for a starting manufacturer’s suggested retail price of $33,995 (including destination and delivery charges). The 2015 Lincoln MKC will have three trim levels, Premiere, Select and Reserve when it goes on sale next summer. The Reserve package has the 275-horsepower twin-turbo EcoBoost® engine 2.3-liter EcoBoost Engine ($1,140) and optional all-wheel drive and continuously controlled damping (CCD) suspension ($2,495 MSRP). Available features include park out assist, Deepsoft Bridge of Weir leather, Vista Roof®, 19-inch wheels, voice-activated navigation, hands-free liftgate and driver-assist technologies and Approach Detection, which senses when an owner is near and responds by illuminating “welcome mats” on the ground next to both front doors. Simultaneously, headlamps, taillamps and door handles glow with soft lighting tuned to complement the vehicle’s exterior color. 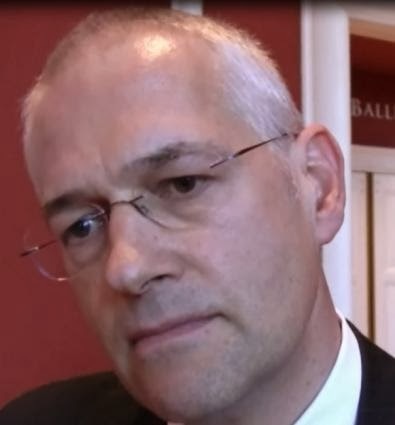 Jonathan Browning, 54, President and CEO of Volkswagen Group of America since 2010, is leaving the Group for personal reasons and returning to the UK. Michael Horn, 51, Head of Volkswagen Global After Sales, who joined Volkswagen in 1990, will become President and CEO of Volkswagen Group of America on January 1, 2014. 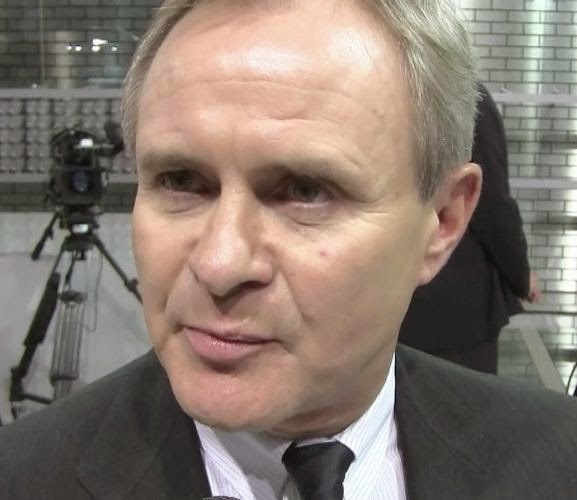 Axel Schulte-Hürmann, 52, succeeds Horn in After Sales of the Volkswagen Passenger Cars brand. 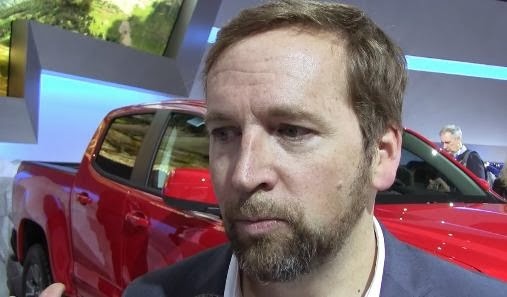 Ludger Fretzen, 48, will be the new Head of Volkswagen Passenger Cars Brand Sales, North America, succeeding Terence Johnsson who moves to Head of Overseas Sales with Audi. 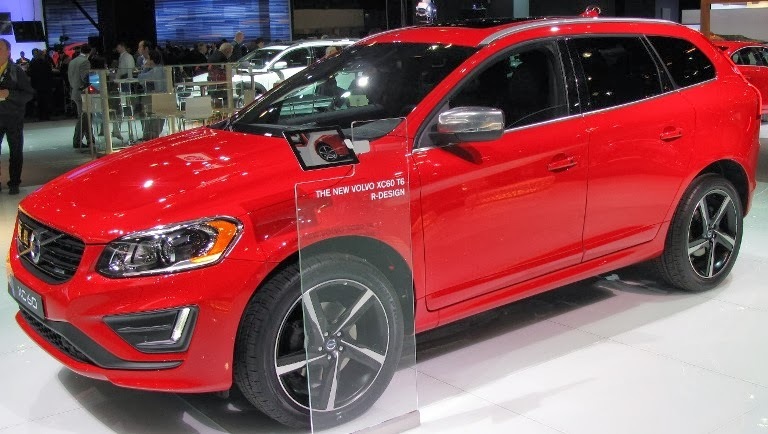 Volkswagen of America reported 30,727 vehicles delivered in November, down 16.3 percent from a year ago but still the second highest level since 1973. Year-to-date sales of 373,689 is a 5.3 percent decline from 2012. 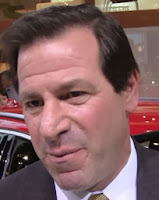 General Motors Chairman and CEO Dan Akerson, 65, who took the roles on September 1, 2010, will step down earlier than expected, on Jan. 15, 2014, after his wife was recently diagnosed with an advanced stage of cancer. Tim Solso, 66, the former chairman and CEO of Cummins will succeed Akerson as Chairman. 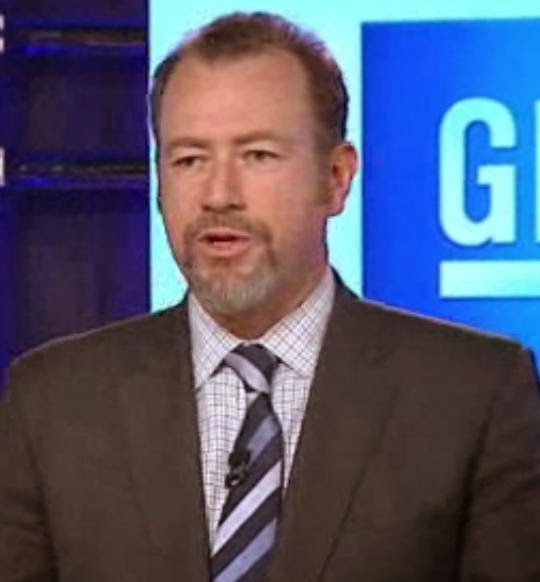 He's been a member of the GM Board since June 2012. 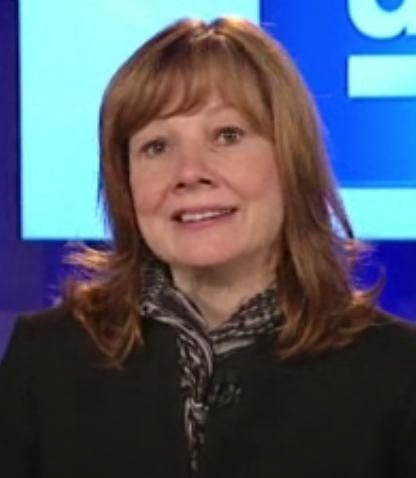 Mary Barra, 51, with 33 years of experience at GM and currently executive vice president, Global Product Development, Purchasing and Supply Chain, will become the next CEO of the company and join the GM Board. Mark Reuss, 50, executive vice president and president, North America, will replace Barra as executive vice president, Global Product Development, Purchasing and Supply Chain. Alan Batey, 50, currently senior vice president, Global Chevrolet and U.S. Sales and Marketing, will replace Reuss and is named Executive Vice President and President, North America. 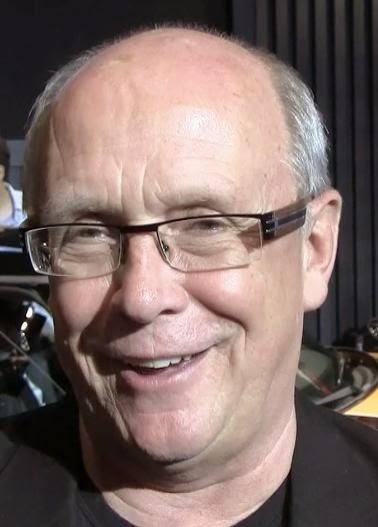 Batey joined GM’s Vauxhall operation in 1979. Dan Ammann, 41, executive vice president and chief financial officer, was named company president and will assume responsibility for managing the company’s regional operations around the world. The global Chevrolet and Cadillac brand organizations and GM Financial will also report to Ammann. Steve Girsky, 51, vice chairman, Corporate Strategy, Business Development and Global Product Planning, will move to a senior advisor role until leaving the company in April 2014. and will remain on the GM Board of Directors. BMW North America President and CEO Ludwig Willisch discusses LA Auto Show vehicle debuts. 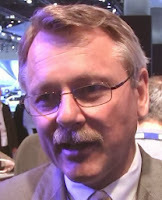 Heiko Schmidt is department manager for compact cars for Mercedes-Benz USA responsible for strategic and operational planning functions for vehicles including the CLA which just launched, the B-Class Electric Drive launching early 2014 and the GLA will arrive in U.S. showrooms in Fall of 2014 and compete with the BMW X1 and Audi Q3. Schmidt also manages smart. 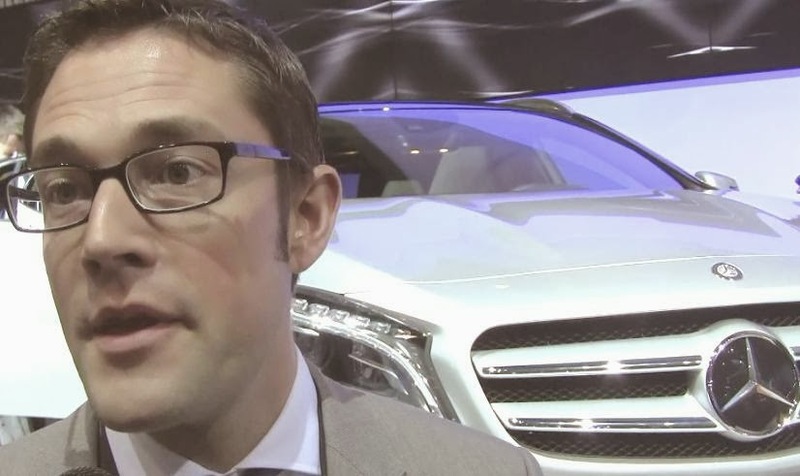 Schmidt discusses the all-new 2015 GLA-Class, powered by a 208 horsepower 2.0-liter 4-cylinder engine mated to a 7-speed dual clutch automatic transmission, which made its world premiere in Frankfurt in September and its North American debut in Los Angeles in November. 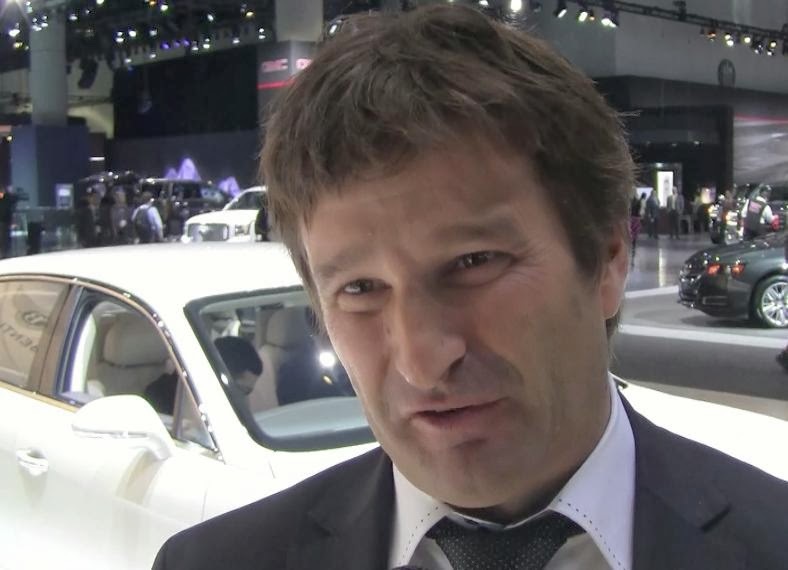 Infiniti Americas VP Michael Bartsch discusses the luxury carmaker's vehicles and strategies. Bartsch was named vice president, Infiniti Americas, effective in September after most recently being Executive Vice President and Chief Operating Officer at Porsche Cars North America, Inc. Bartsch joined Porsche in 2004 after working for other automotive companies including Holden, General Motors’ Australian brand. 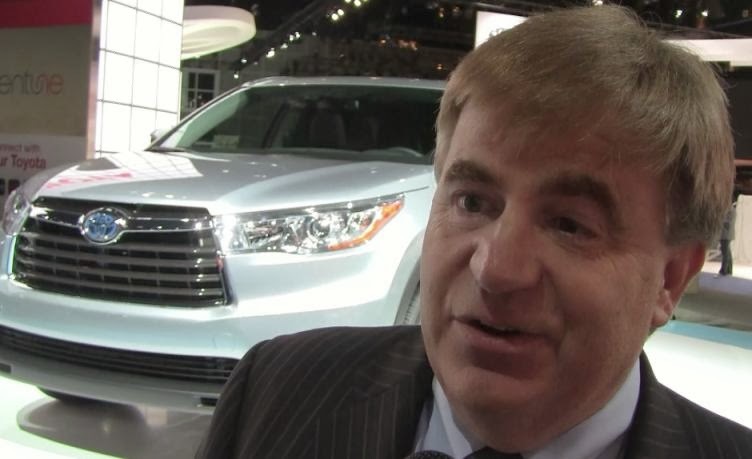 Bob Carter, Sr. VP Automotive Operations at Toyota Motor Sales USA discusses new 2014 Toyota Highlander going on sale in January after being introduced at the New York Auto Show in March. Tom Loveless, Executive Vice President Sales at Kia Motors America discusses the new K900 luxury sedan, sales and model successes. Year-to-date Kia sales of 501,548 crossed the 500,000 unit mark for the second time in company history but are down 3.2 percent from 2012. 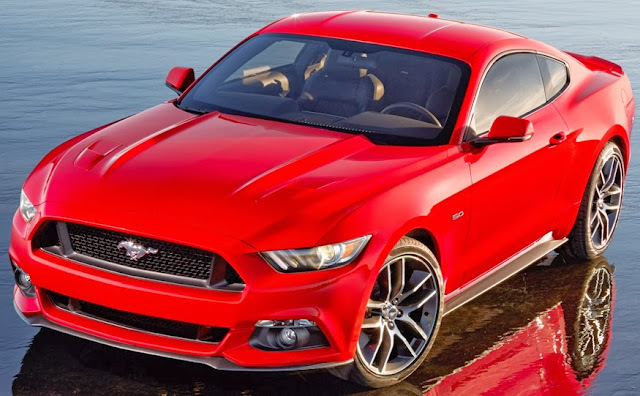 The all-new 2015 Ford Mustang offers a new projected 305-plus horsepower 2.3-liter EcoBoost direct fuel injection, twin independent variable camshaft timing and turbocharging engine, the more than 420 horsepower 5.0-liter V8 engine and at least 300 horsepower from the standard 3.7-liter V6 engine. 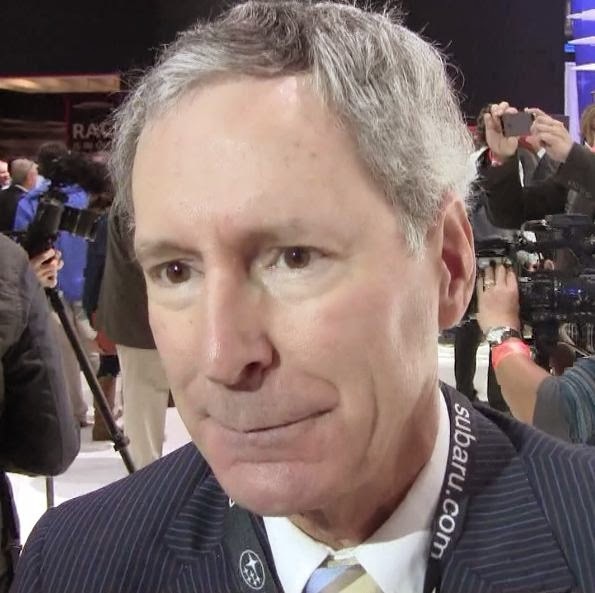 Subaru of America President Tom Doll discusses the success of the Subaru line-up and challenges for the company that has exploding sales growth. Jim McDowell, Vice President MINI of the Americas, who will retire as of December 31, 2013, discusses the new classic MINI Cooper and Cooper S. Since 2005, Jim has been responsible for all aspects of MINI Marketing, Sales and Aftersales in the United States. 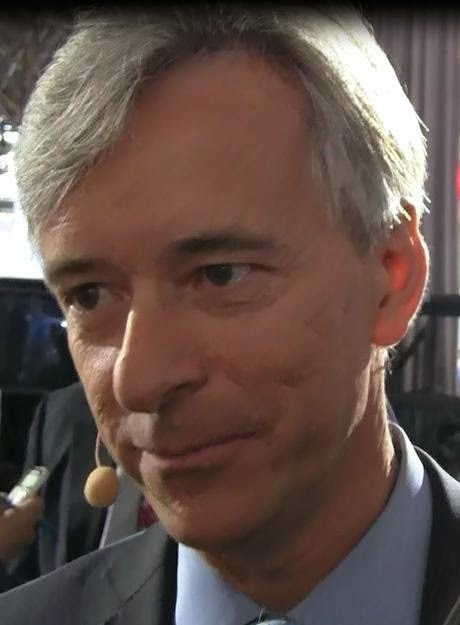 Previously, McDowell was Vice President – Marketing for BMW of North America, LLC, a position he held for twelve years. David Duncan will assume the role of Vice President, MINI of the Americas, succeeding Jim McDowell. The new 2014 MINI Hardtop gets a 134 horsepower 1.5-litre 3-cylinder engine in the new MINI Cooper and the new MINI Cooper S is powered by a 189 horsepower 2.0-liter 4- cylinder engine featuring MINI TwinPower Turbo Technology. In the new MINI Cooper and the new MINI Cooper S this includes turbocharging, direct fuel injection, variable camshaft control on the intake and exhaust side (double VANOS) and variable valve control in the form of VALVETRONIC, from the BMW Group. General Motors delivered 212,060 vehicles in the United States in November, up 13.7 percent versus a year ago and the highest November sales in six years. Retail sales were up 19 percent and fleet sales were down 3 percent. Year-to-date sales are 2,555,921, up 8.8 percent from a year ago. Ford Motor Company's November U.S. sales of 190,449 vehicles are up 7.2 percent overall compared with last year. Retail sales are up 9 percent, for the best November performance since 2004. Year-to-date sales are 2,275,860, up 11.8 percent over 2012. Toyota Motor Sales, U.S.A., reported November 2013 sales results of 178,044, an increase of 10.1 percent over November 2012 on a raw-volume basis. Toyota Division posted November 2013 sales of 152,433, up 9.7 percent year-over-year. Chrysler Group LLC reported U.S. sales of 142,275, a 16 percent increase compared with sales in November 2012, and the group's best November sales since 2007. Year-to-date sales are 1,639,361, up 9 percent over 2012. American Honda Motor November 2013 U.S. total sales were 116,507, a decrease of 0.1 percent compared with record November 2012 sales Year-to-date sales reached 1,390,057, an increase of 7.8 percent. Honda Division November sales reached 101,948, a decrease of 2.3 percent when compared to record division sales last November. Acura Division posted sales of 14,559, an increase of 18.9 percent compared to November 2012. Nissan established a November U.S. sales record with sales of 106,528, marking an increase of 10.7 percent over last year. Nissan Division set a November record with 93,376, a 10.8 percent increase over the prior year. Sales of Infiniti vehicles also set a November record with 13,152, up 10.5 percent. Nissan Division has sold 1,035,439 vehicles so far in 2013, up 10.7 percent and exceeding the total for all of 2012 while Infiniti has sold 103,223, a 3.8 percent drop from 2012. Total Nissan year-to-date sales are 1,138,662, a 9.2 percent increase. Hyundai Motor America sales for the month of November was 56,005, up five percent versus the same period in 2012, representing the best November in company history. Year-to-date sales are 657,778, a 2.2 percent rise over 2012. Kia Motors America reported record November sales of 45,411 vehicles, 10.6 percent higher than last November.Year-to-date sales of 501,548 crossed the 500,000 unit mark for the second time in company history but are down 3.2 percent from 2012. Subaru of America reported best-ever November sales of 36,621 vehicles in November, up 29.8 percent over last year. Year-to-date sales of 384,511 total vehicles in 2013, up 28.3 percent over last year. BMW Group U.S. (BMW and MINI combined) November sales totaled 36,327 vehicles, a decrease of 0.4 percent from the same month a year ago. 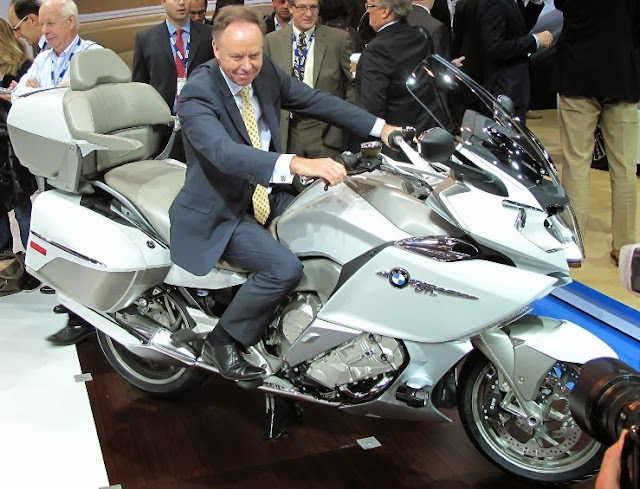 Year-to-date, the BMW Group U.S. (BMW and MINI combined) is up 9.2 percent on sales of 331,801 in the first eleven months of 2013 compared to 303,728 in the same period in 2012. Volkswagen of America reported 30,727 vehicles delivered in November, down 16.3 percent from a year ago but still the second highest level since 1973. Year-to-date sales of 373,689 is a 5.3 percent decline from 2012. Separately, Audi sold 13,636 vehicles in November, 13 percent more than a year ago thus establishing its fourth consecutive annual U.S. sales record a month early with an 11 month sales total of 141,048, a 13.3 percent gain. Mazda North American Operations reported November U.S. sales of 20,754, a decrease of 4.3 percent versus last year. Year-to-date sales through November are up 4.5 percent versus last year, with 260,983 vehicles sold. Jaguar Land Rover North America November U.S. sales for both brands hit 6,047, a 37 percent increase from November 2012. Jaguar sales were 1,446, up 103 percent and Land Rover sales reached an all-time November high of 4,601, up 25 percent from November 2012. Year to date through November, Jaguar Land Rover North America is up 21 percent, with Jaguar up 41 percent and Land Rover up 15 percent. Mitsubishi Motors North America reported November sales of 6,071, up 69.9 percent compared to November 2012. Volvo Cars of North America reported U.S. sales of 4,233 units, a 31.1 percent decrease versus November 2012. Year-to-date sales are down 9.1 percent over the first eleven months of 2012. Porsche Cars North America announced November 2013 sales of 3,966 vehicles beating sales in the same period in 2012, which had set an all-time November record, by three percent. Year-to-date, Porsche sold 39,077 cars in the U.S., 22 percent ahead of last year’s total. The new 2015 Chevrolet Colorado midsize truck has a 193 horsepower 2.5L I-4 engine as standard and an optional 302 horsepower 3.6L V-6 engine with each matched with a six-speed automatic transmission, and the 2.5L is available with a six-speed manual transmission on extended cab 2WD Work Truck models. In its second year, a Duramax 2.8L I-4 turbodiesel engine will be offered. 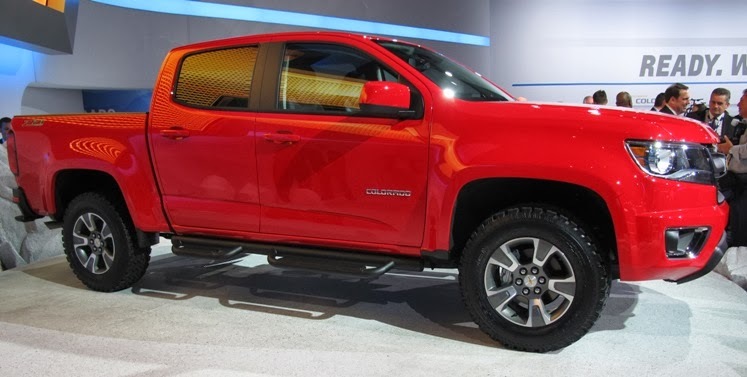 The 2015 Colorado’s configurations are an extended cab model with a 6-foot bed, a crew cab with a 5-foot bed and a crew cab with a 6-foot bed. With the tailgate down, the 6-foot bed allows hauling of 8-foot-long items. WT, LT and Z71 trims are available, all in 2WD or 4WD. The payload capacity and trailering capacity is more than 6,700 pounds. Colorado goes on sale in fall 2014 as a 2015 model. The Maserati Ghibli is powered by a 330 horsepower 3.0 liter Twin Turbo V6 engine mated to a new eight-speed ZF automatic transmission, designed by the Maserati Powertrain engineers and built at the Ferrari plant in Maranello. The five operating modes, selected using the buttons on the left-hand side of the gear lever are: Auto Normal, Auto Sport, Manual Normal, Manual Sport and I.C.E. (Increased Control & Efficiency). The models of the entry-level Maserati are the Ghibli, 350 horsepower Ghibli S, 410 horsepower Ghibli S Q4 and Ghibli diesel. German-born Harald Wester started his career at Volkswagen AG in Wolfsburg, joined Ferrari S.p.A. in 2002 and Fiat Group in 2004 and was appointed CEO of Maserati S.p.A in 2008. Wester wears many hats: Chief Executive Officer of Alfa Romeo Automobiles, Chief Technical Officer for Fiat Group and Fiat Group Automobiles and Chief Executive Officer of Maserati and Abarth. 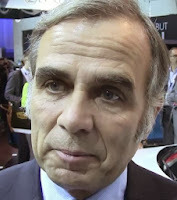 Christophe Georges, President and CEO of Bentley Motors Inc. discusses the new 616 horsepower 6.0-liter, twin turbo W12 engine Flying Spur that starts at $200,000. Also on display, the 500 horsepower 4.0-liter twin turbocharged V8 engine Continental GTC V8 convertible. Bentley worldwide sales through the end of September increased nine percent to 6,516 cars. The Americas remains Bentley’s largest market and accounted for 2,022 cars which represented a 16 percent increase over the previous year and 31 percent of all sales. Southern California is the U.S. market leader for Bentley. 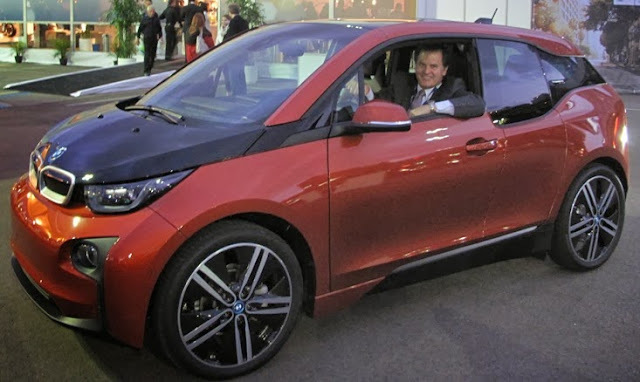 Los Angeles Auto Show introductions included the new BMW 4 Series Convertible coming in the first quarter of 2014 starting at $49,675, the new BMW i8 plug-in hybrid 2+2 comes to the market in the second quarter of 2014 at $135,700, the BMW Concept X4 will arrive next year, the BMW i3 with 170 horsepower hybrid-synchronous electric motor good for 80-100 miles of emission-free driving will be available in the second quarter with a base MSRP of $41,350 and a range-extender model starting MSRP of $45,200. The 2014 BMW 5 Series Gran Turismo, also displayed in Los Angeles, is currently available in the US as a 535i for $60,925, 535i xDrive for $63,225, 550i for $68,825 and 550i for $71,125.